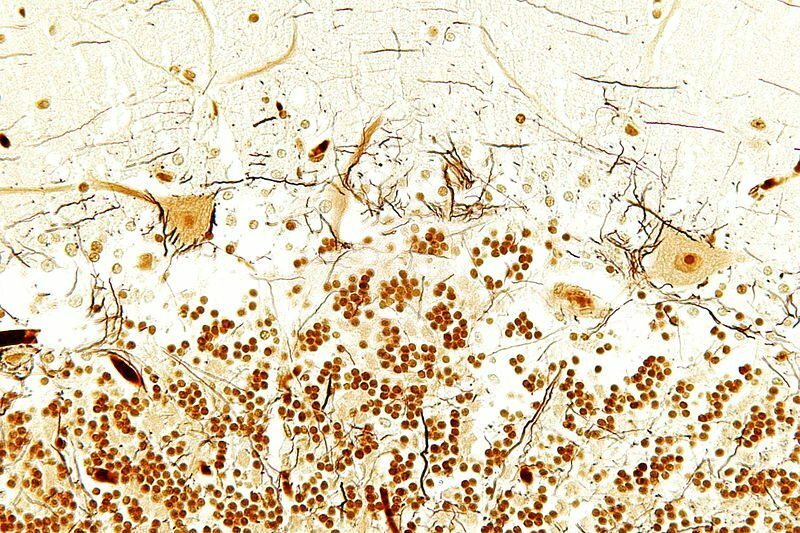 The Bielschowsky Silver Stain is a classical histological silver stain used for the impregnation of nerve fibers and the detection of neurites and neurofibrillary tangles associated with Alzheimer’s disease, yielding a black stain. Wash in distilled water for 2 minutes. Dehydrate through 70, 80, 90, and two changes of 100% ethanol. Clear by immersing slides in two changes of xylene solutions for 5 minutes each.